Welding blankets are made from high temperature fiberglass woven fabric, in varying thickness. The fabrics can be uncoated or coated for varying applications. 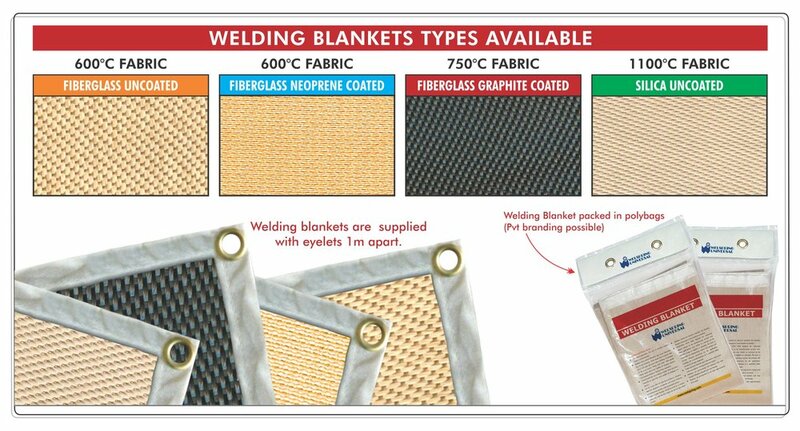 Welspring welding blankets provide protection from sparks, spatter, and slag generated by welding or metal-cutting applications. Custom sizes can be made on request.